Want to be able to hold your own in an internet marketing conversation? 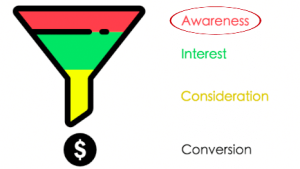 Ever been downright confused when confronted with internet marketing acronyms like SEO, PPC, and TOFU? The terminology can be difficult- but I’ve got you covered! 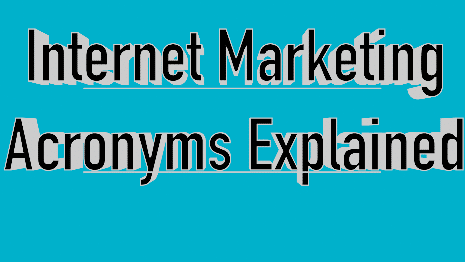 Let’s go through common A-Z internet marketing acronyms and what they actually mean- with easy to understand examples included! 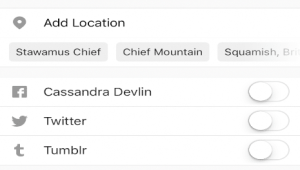 An Application Program Interface creates a connection between two web applications so you don’t have to sign in and out.Think about it: When you go to post a photo on Instagram, it gives you the option to post it to Twitter and/or Facebook as well. Example: When you go to post a photo on Instagram, it gives you the option to push that post to Twitter and/or Facebook as well. The funnel is the buying process. There are three different sections, all of which we will cover by the end, but right now we’re concerned with the bottom portion. The bottom symbolizes the part of the buying process where the lead (or prospective customer) is toward the end of the sales process and is in deep consideration. 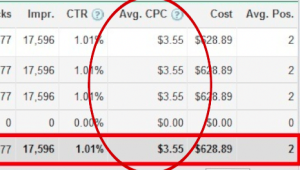 This is the amount you spend when someone clicks on your ad. 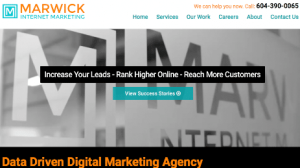 The cost per click is different for all business owners and depends on a variety of different factors including your competition, what you offer, etc. This is the process of testing what layout, content, tags, etc. 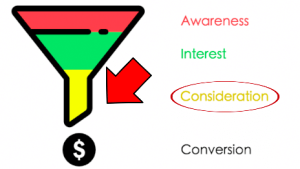 will prove to be most beneficial for your company- what combination results in a higher conversion rate (or rate in which visitors become active and engage with your website)? This could be anything from a link, a statement, etc. that encourages someone to take a certain action. Example: When I say, “Go ahead and click that subscribe button!” in my videos. That is a CTA! This is the percentage indicating how many people actually click on your ad relative to how many impressions were given. 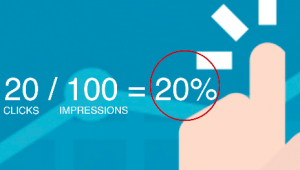 Example: If you got 20 clicks, but had 100 impressions, you would have a 20% CTR. This is the standard language used to create a web page. This is a measurable value that demonstrates the effectiveness of a current marketing strategy/strategies. 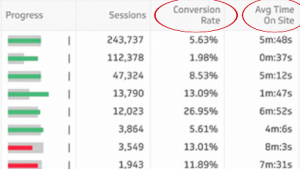 An example: Your Conversion Rate and Average Time On Site. This is the same funnel we were talking about earlier- the buying cycle. This time, we’re focusing on the middle portion, and this is where a basic lead is moving onto deeper research and consideration. They’re typically called “interested” at this point. A modified tweet is not a retweet (RT)! A modified tweet is when you use someone else’s tweet, but add commentary or change the words. This is a lead who is more likely to become a customer based on marketing analytics. PPC is used in online advertising and means that you pay for each click that goes to your website. ROI is a percentage measuring the amount of return on an investment, relative to the investment’s cost. You buy 20 pizzas at $10 each. A retweet is just pressing the retweet button on Twitter, keeping the exact form and content that was in the original tweet. Search engine marketing is made up of marketing strategies that are used to drive more traffic to a website – typically SEO and PPC. Strategies used to improve your rank on search engines like Google, Yahoo, and Bing. 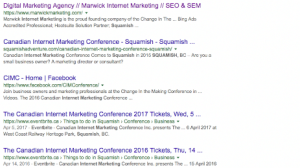 A search engine results page shows a list of results for a particular search- ranked in order of relevance by the search engine. A SQL is a prospective customer who has been deemed ready for the next stage in the sales process by the team. You guessed it, the funnel is back! This is the first stage of the buying process- where the prospective customer is just seeing your company information for the first time. They’re in the “awareness” stage. 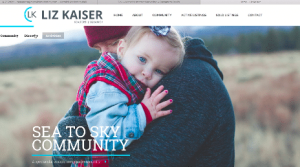 Are your website visitors enjoying their experience? 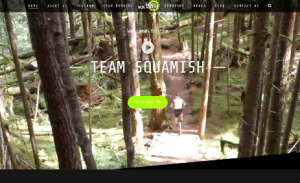 Can they easily navigate your website and find the information they need? User experience can be bad (think not mobile friendly, taking too long to load, etc), and user experience can be great (mobile friendly, loads quickly, information is easy to find, etc). *This is really important, by the way! Your UX partly determines your rank in regards to SEO. 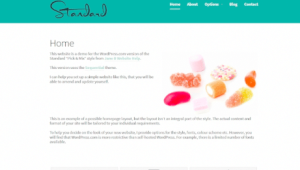 An example of WYSIWYG: creating a website through WordPress. WordPress allows you to create and edit content through their system, limiting you to using a definitive set of applications and forums to create your website. I hope that this has been helpful for you and that you feel like you can now hold your own in a digital marketing conversation! ← What Is SEO? 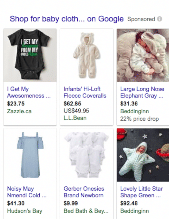 How To Grow Your Business Using Search Engine Optimization!